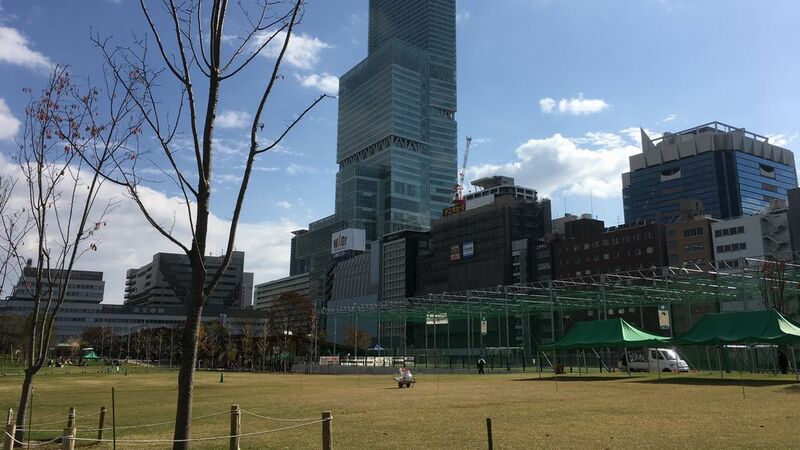 Tennouji Park is located next to Tennoji station, the southern gateway to Osaka. It has a history more than a century to its first opening in 1909. In 2015, it reopened with a wide open greenery space. The park has a number of attractions such as futsal court, playland, restaurants and shops. There is a Japanese garden “Keitaku-en” and the Chausuyama Tumulus, which is the tomb of an ancient and powerful family. It’s also home to the Tennoji Zoo and the Osaka Municipal Museum of Art. So it’s a good place for all the family. Visitors will see the Tsutenkaku tower, the symbol of Osaka and Abeno Harukas, the tallest skyscraper in Japan nearby.